A deeply personal account of the imprint Germans left on New Mexico and the United States at large. Schelby (Liberating the Future from the Past? Liberating the Past from the Future?, 2013, etc.) was born in Germany but on the wrong side of the Iron Curtain following World War II. She eventually made her way to New Mexico, a diverse, sprawling land with a colorful history that enchanted her. 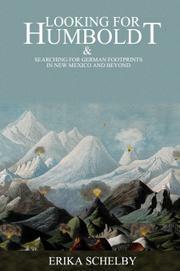 The author embarked on an eccentric quest to hunt down whatever traces of Germany had been left on the unfolding of the state’s history, a hunt that often focused on the adventures of Alexander von Humboldt, a prodigiously talented Prussian who traveled extensively through the United States. Schelby’s tour of New Mexican history is quirkily impressionistic. She provides lengthy discussions on the birth of the state’s cultural diversity. When she reaches the first and second world wars, the author’s focus turns toward the depredations Germans suffered at the hands of its American hosts. She meditates affectingly on the peculiar discomfort such a multicultural nation experiences with otherness: “How can it be that the U.S., such a great country populated with resilient, hard-working, and mostly decent people, is so insecure?” Humboldt emerges as the star of the story: an impossibly erudite scientist who mapped and researched the American Southwest, dined with Thomas Jefferson, and won the praise of Ralph Waldo Emerson. Schelby openly intends her account to be a personal one sketched from an idiosyncratic perspective, and this has its limitations. In 1850, Germans made up less than a half-percent of New Mexico’s population. However, what she surrenders in comprehensiveness is made up by a historical miniaturist’s sensitivity—she delves nimbly into the cultural nuances of this protean polity, unearthing elements of New Mexico’s identity often overlooked in more formal portraits. Also, her vision for a more inclusive—and cosmopolitan—country is more heartfelt than bitter, the tough love of a genuine admirer. A delightfully eclectic history told with charm and thoughtfulness.